Microsoft has delivered a new Windows 10 build to members of the Windows Insider fast ring that brings various tweaks and fixes, yet still doesn't address a big issue with Google Chrome. 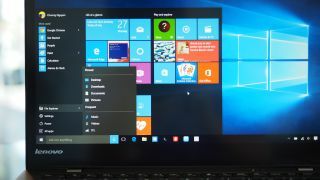 Windows 10 Build 10532 began rolling out of the blocks last night and, along with the usual bug fixes, it brings some nice improvements to the way Windows 10 looks on each and every PC that it lands on. The biggest upgrade is the improvement to context menus that makes them feel a lot more consistent across the board thanks to a "modern look and feel." This extends to unifying light and dark theming across the entire OS. Other changes include an update to the Windows Feedback Universal App that makes it easier to share any feedback you receive with other users by utilising the Windows Share feature or through a direct link. This will also makes its way onto the next mobile flight due to the fact it is a universal app. There are still some issues that haven't been fixed in this new build, namely the one that causes the 64-bit Google Chrome browser to crash on launch. Google is aware of the issue according to Microsoft and Windows Insiders are advised to use 64 bit Google Chrome Canary build or 32 bit Google Chrome until it is fixed. Windows Hello face sign-on also won't work on certain devices in this build either and users encountering this problem will need to use pin, password or fingerprint to sign in. Otherwise everything is in full working order.